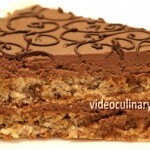 Chocolate and hazelnuts make a fantastic flavor combination. Grandma Emma and I came up with this cake, and it always gets compliments. 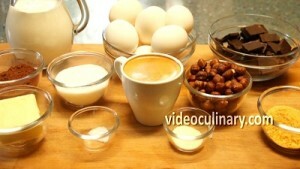 Make the hazelnut sponge: Grind 100 grams of hazelnuts into fine powder using a coffee grinder. 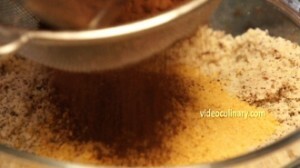 Add 30 grams of breadcrumbs and 20 grams of cocoa powder and mix. Separate 5 eggs. 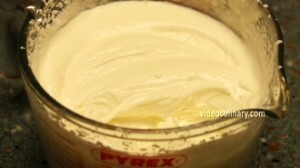 Place 80 grams (3 oz) of soft butter in a bowl of a stand mixer, and beat on high speed until creamy. Gradually add 5 yolks. Beat until smooth and creamy, scraping down the sides of the bowl once or twice. 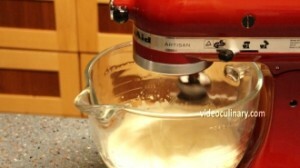 Place 5 egg whites in a clean bowl of a stand mixer. Add a pinch of salt, and whip on medium speed until frothy. Increase the speed and gradually add 100 grams (3.5 oz) of sugar. Whip until stiff. Gently fold one third of the egg whites into the egg yolk mixture, to lighten the mixture, and then fold in the remaining egg whites. 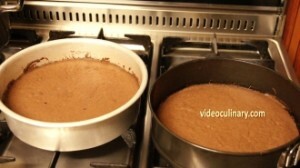 Add the hazelnut, breadcrumbs and cocoa powder in two batches and fold until smooth. 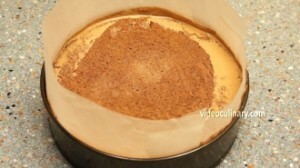 Spread the batter evenly into two 26 cm (10 inch) cake pans lined with parchment paper. 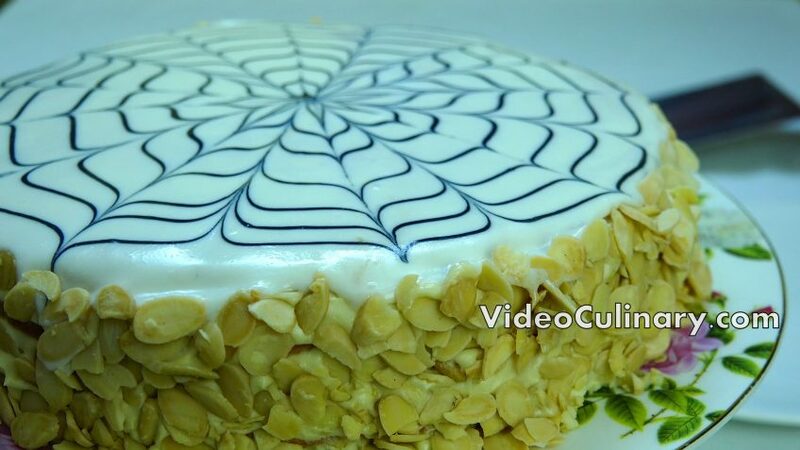 You could also spread the batter in one cake pan and slice the sponge before assembling the cake. 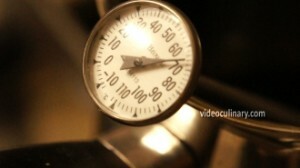 Bake at 170°C (340°F) for 12 minutes. An inserted skewer should come out clean. Cool the cake in the pan for a few minutes, unmold, peel the parchment paper and cool completely on a rack. 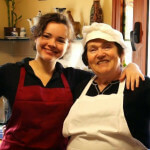 Make the chocolate mousse: Bloom 8 grams of gelatin in 2 tablespoons of cold water or cold strong coffee. 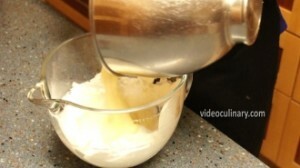 Whip 450 ml of heavy cream (minimum 30 % fat) to soft peaks. 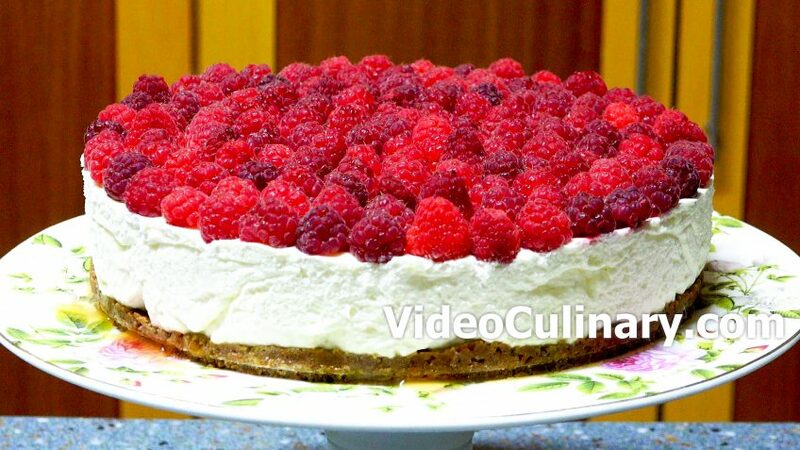 Hold the whipped cream in the fridge. Place 200 grams (7 oz) of chopped dark chocolate in a bowl over simmering water, and stir frequently until melted. Combine 2 eggs, 2 egg yolks and 40 grams (1.5 oz) of sugar in a bowl over simmering water. 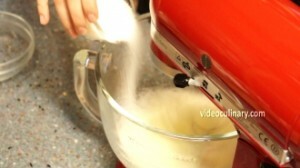 Whisk constantly until the mixture reaches 57°C (135°F). 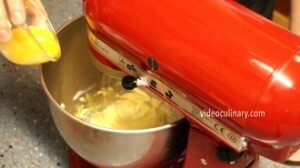 Pour the egg mixture into the bowl of a stand mixer and whip on high speed until light in color. In the meantime, melt the gelatin and bring to 60- 70°C (140-160°F). 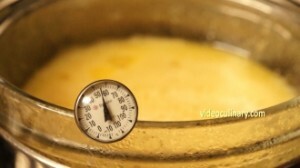 Add the melted gelatin to the warm egg mixture, and continue whisking until it reaches room temperature- about 24°C (75°F). 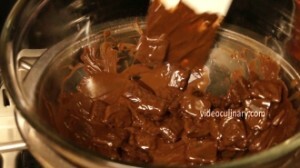 Add the melted chocolate into the egg mixture, and stir until thoroughly incorporated. Fold in the whipped cream. Place one cake layer in the cake pan. 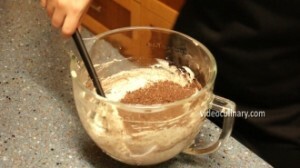 Pour the chocolate mousse, place the second layer on top and press it lightly. Refrigerate for at least 12 hours. 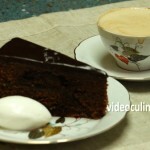 After 12 hours, make the chocolate glaze (ganache): Bring 250 grams (8 fl oz) of heavy cream to simmer. Pour over 150 grams (about 5 oz) of chocolate. Stir until smooth. 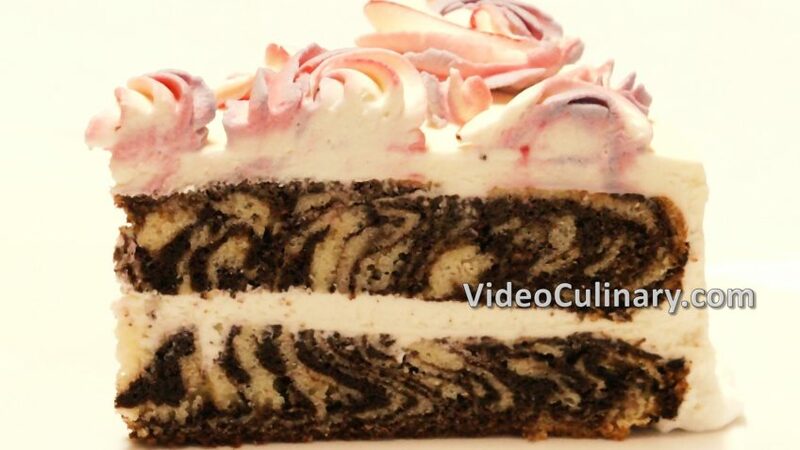 Unmold the cake and place on a wire rack set over a sheet tray. 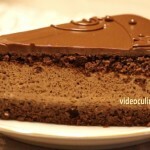 Glaze the cake with the chocolate ganache and refrigerate until set, about 10 minutes. Transfer to a serving plate, serve and enjoy! Thank you for using. 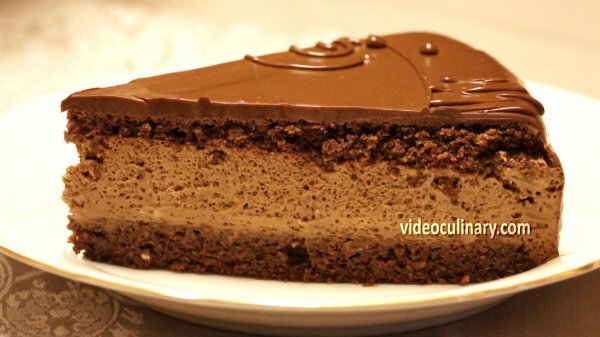 Visit our website for a quick 5-ingredient chocolate coconut cake, classic Sachertorte, chocolate glazed éclairs and more delicious recipes!